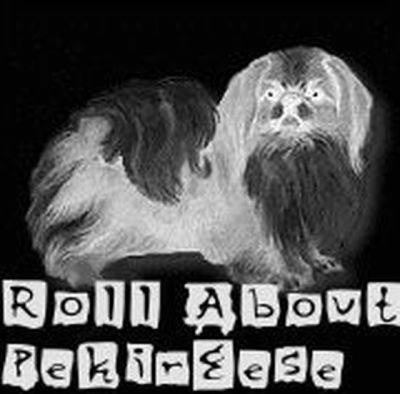 Click this text to get more information on Pekingese and locate reputable breeders under the member section. We are members of the Pekingese Association. This is by far the best vet in VA / WV / MD area. They do it all and specialize in reproduction. The Dr. Also shows and breeds dogs. They are worth the drive even if you are far away. On your first visit please be sure and tell them Carrie Forsyth Roll-About Pekingese sent you. Below you will find links to the products we love! As well as helpful dog clubs and show info. Read the link as to what we like from the company. Then you can click it and find the products. While some of the company's offer Shampoo we will recommend one over the other, as not all companies sell the same products. Take The Lead is a nonprofit organization dedicated to helping people and their family's with illness who are involved in the sport of pure bred dogs. To find out more about how you can help please follow this link to their website. Jeep Rubicon dog strollers and more types here. Free shiping for orders over $50.00, Orijen 6 Fresh Fish, Merrick caned Wilderness Blend, and Honest Kitchen mixed with caned or kibble and great to raise pups on! Ziwi Peak all recommended by Roll-About! Great for toys and other products! Ring side tables and brushes! Lovely dog loving Jewelry store Makes beautiful custom dog pieces from your picture prices start at $1,000.00 and up !